Italy’s Eternal City is one of the world’s most fascinating and beautiful cities which is why it is unsurprising that Rome makes so many travellers’ bucket lists. From its beautiful architecture to delicious cuisine to an immense religious heritage, Rome really does pack a lot in. Colosseum – This impressive Roman Amphitheatre which dates as far back as the first century was once the scene of gladiatorial conquests between men, lions and wild beasts. Vatican City – Lying inside the city boundaries, you will find the world’s smallest state, the Vatican City, the centre of the Christian faith and discover more at its multiple museums. Trevi Fountain – It's the largest Baroque fountain in the city and one of the most famous fountains in the world. City of Romance – With cobbled streets, fabulous historic architecture and great wine, it is easy to see why Rome earns its place as one of the world’s most romantic cities. Discover historic Rome and be sure to visit the Colosseum, where you can explore this historic symbol which also boasts fantastic views across the city from its highest point. Nearby is The Roman Forum which used to be the business district and the marketplace of Rome. A few minutes’ walk away is the best preserved of Rome’s ancient monuments, the Pantheon, which has become an emblem of the city. Furthermore after you have thrown a coin into The Trevi Fountain in the hope to return to this beautiful city, why not grab an espresso or gelato and simply watch the world go by in this lovely spot. For something more bohemian, get off the beaten track and head to perhaps Rome’s favourite district Trastevere, which is packed full of wonderful restaurants, bars and pizzerias. 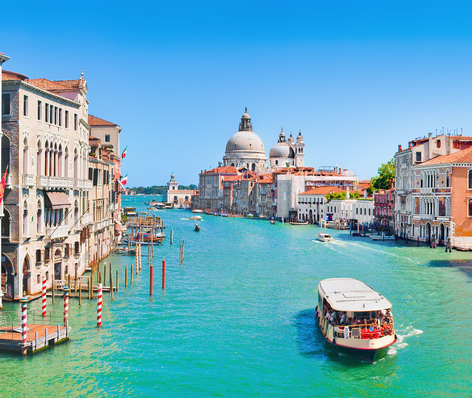 Although rest assured, the whole city is filled with great places to get a true taste of Italian food and to chill after a long day of exploring. If shopping’s your thing, start at Piazza di Spagna and visit all the glamorous shops and boutiques that Rome has to offer including Prada, Dolce & Gabbana and Armani to name a few. It’s impossible to list all the attractions here but a city break in Rome is not complete without visiting the Vatican City. Here you can admire the St Peter’s Basilica where the inauguration of the Pope takes place or see the awe-inspiring depiction of The Creation by Michelangelo in the attached Sistine Chapel.